When you toast to love, these cork coasters are exactly where you want to rest your glasses! Truly a heartwarming gift__your guests will adore taking the love home. 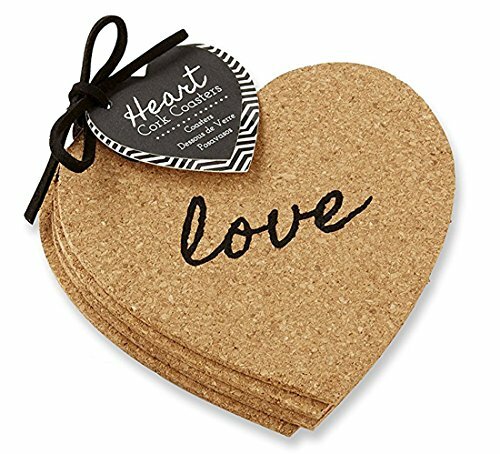 Features and facts: Each favor contains four heart-shaped cork coasters in-scripted with the word love. Each coaster measures 4" w. Gift presentation includes leather-cord tie and coordinated hang-tag.